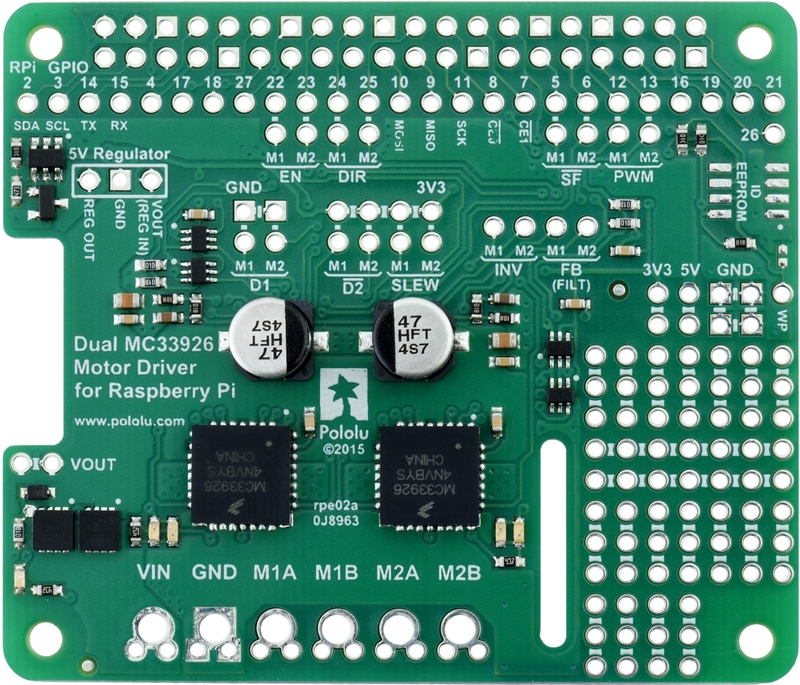 This motor driver board is an add-on for the Raspberry Pi Model B+, A+, or Pi 2 that lets it easily control a pair of bidirectional, brushed DC motors. 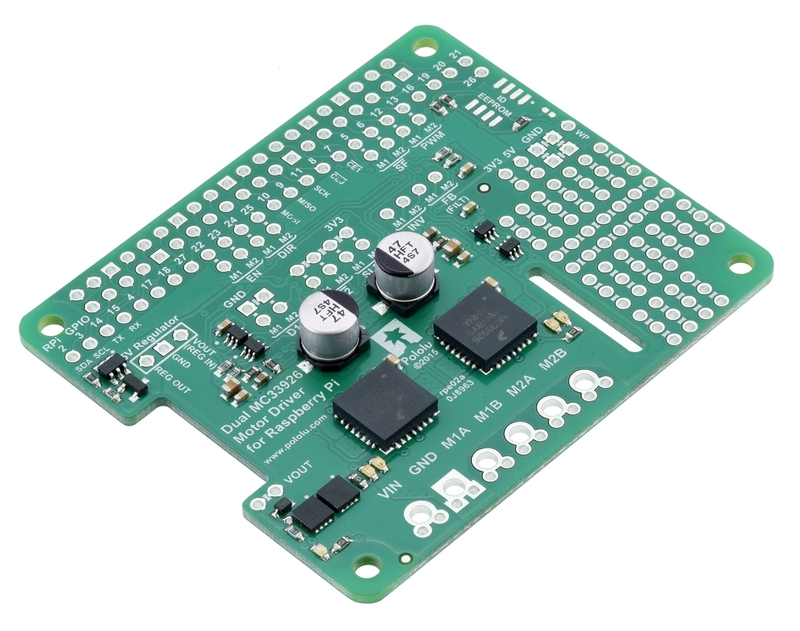 The expansion board uses a pair of Freescale MC33926 motor drivers, which operate from 5 to 28 V and can deliver a continuous 3 A per channel (up to 5 A per channel for a few seconds). Other features include a reverse battery protection circuit and logic gates that reduce the number of I/O pins required to control the driver ICs effectively. 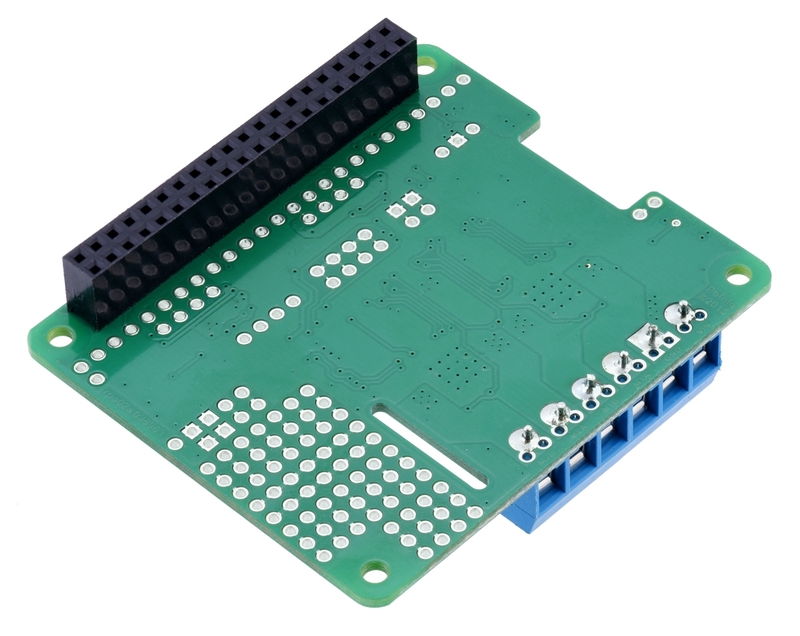 The board ships fully populated with its SMD components; it is available as a partial kit, with a female header and terminal blocks included but not soldered in. 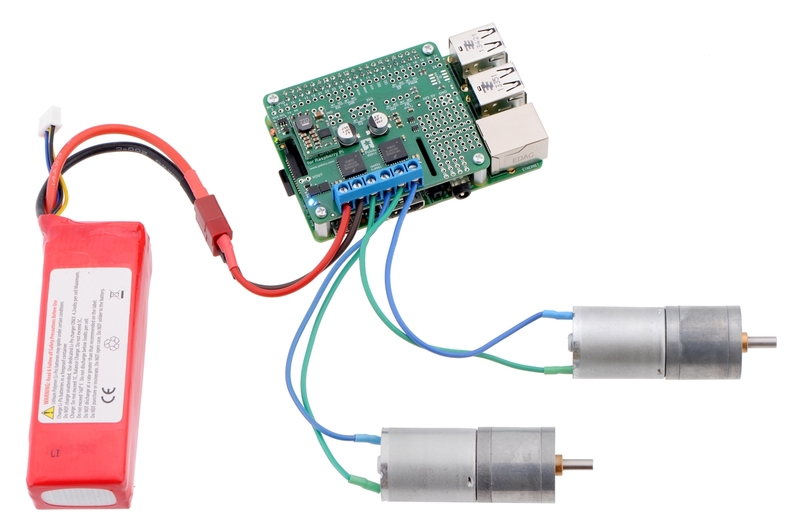 Note that this motor driver add-on is designed specifically for newer versions of the Raspberry Pi with 40-pin GPIO headers, including the Model B+, Model A+, andRaspberry Pi 2 Model B. 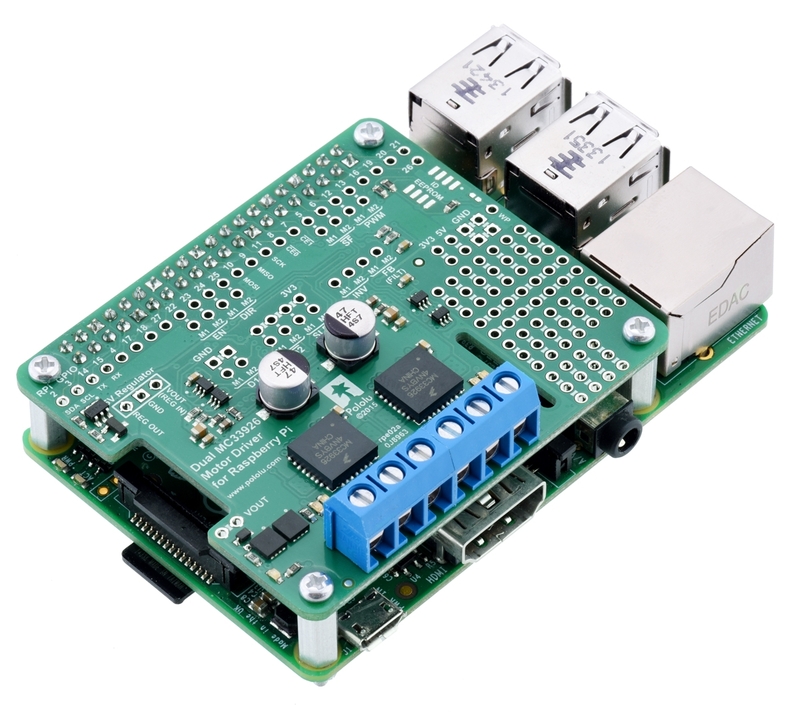 The board matches the Raspberry Pi HAT (Hardware Attached on Top) mechanical specification, although it does not conform to the full HAT specifications due to the lack of an ID EEPROM. (A footprint for adding your own EEPROM is available for applications where one would be useful; pull-ups on SDA, SCL, and WP are provided.) 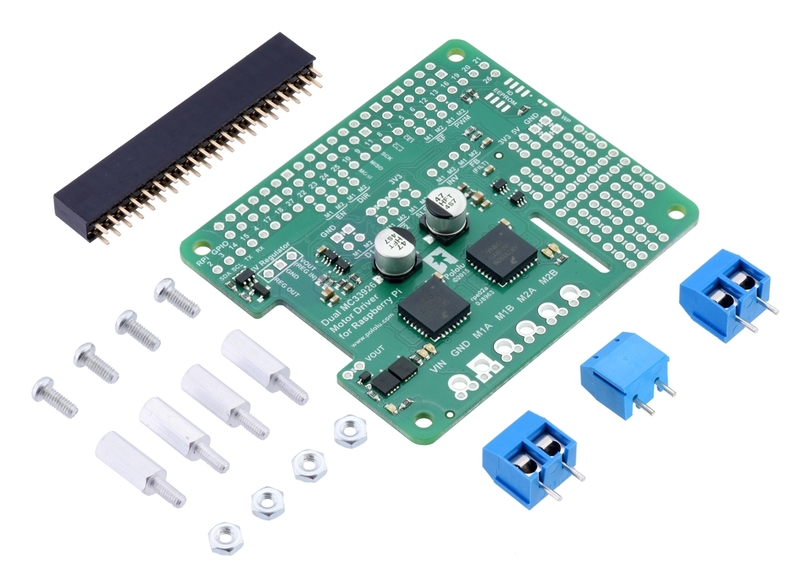 It is not practical to use this expansion board with the original Raspberry Pi Model A or Model B due to differences in their pinout and form factor.